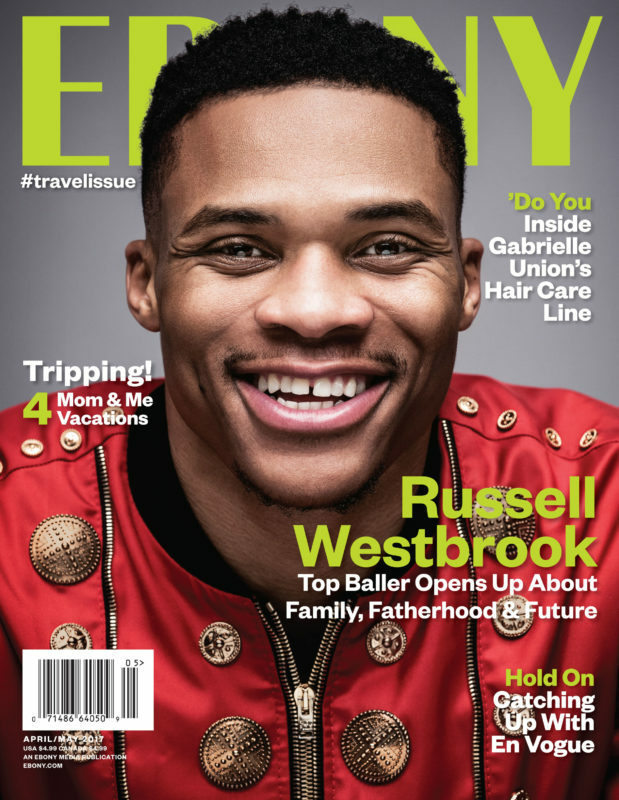 A groundbreaker in the world of fashion, an all-star point guard for the Oklahoma City Thunder and recently anointed triple-crown king, Russell Westbrook has established himself as an electrifying presence on and off the court. Although he is known as a man of a few words, he discusses in a rare and candid in-depth interview with EBONY his journey as an athlete, role as a husband and soon-to-be father, and who he is when the world is not watching. The 2017 April/May travel issue is dedicated to shared experiences, making connections and navigating your way out of your comfort zone. EBONY is the No. 1 source for an authoritative perspective on the multidimensional African-American community. The EBONY brand, including print, digital, and social reaches over 50 million readers monthly. EBONY media reflects the cross section of Black America as delivered by the best thinkers, trendsetters, activists, celebrities and next-generation leaders. EBONY ignites conversation, promotes empowerment and celebrates aspiration. EBONY magazine is the heart, soul and pulse of Black America, and a catalyst for reflection and progression. Follow and engage with us: @EbonyMag on Twitter, EbonyMag on Facebook, EbonyMag.Tumblr.com on Tumblr, and Ebony.com on the Web. We are not “new Black” nor “old Black”; we are ALL Black!